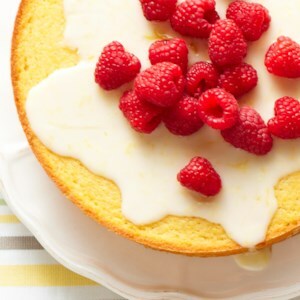 Find healthy, delicious Mother's Day Dessert recipes, from the food and nutrition experts at EatingWell. 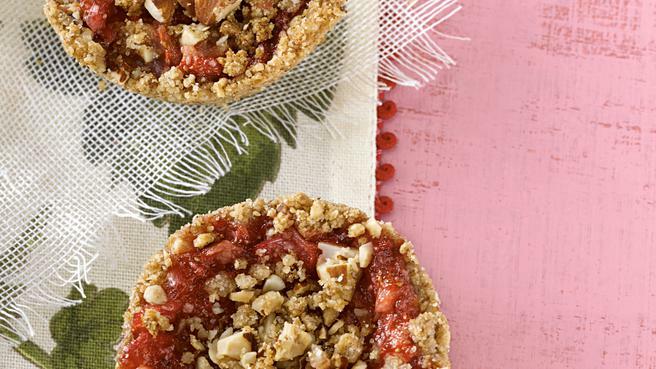 This muffin-tin recipe for strawberry-rhubarb pies is cute as can be and delicious too! 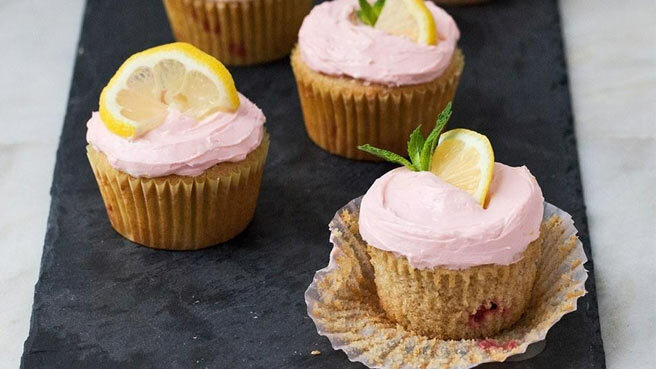 Strawberries and lemons make for a sweet and citrusy treat in this lightened-up cupcake recipe topped with a cream cheese frosting. 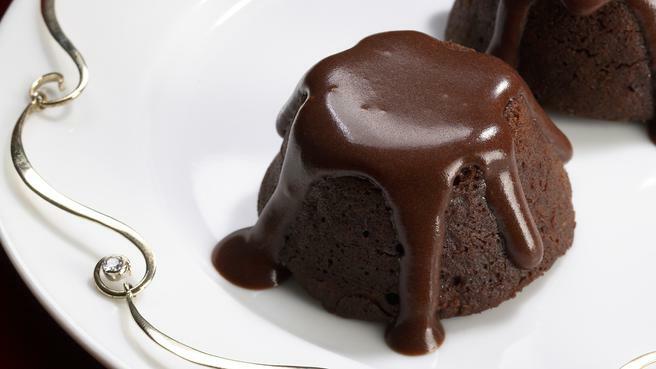 These rich, mocha-flavored morsels are guaranteed to stay moist and gooey, owing to a simple mocha ganache in the middle. 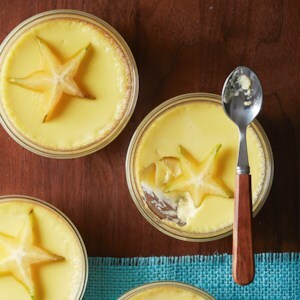 This low-fat custard owes its tangy, sophisticated flavor to dried lavender and store-bought lemon curd. 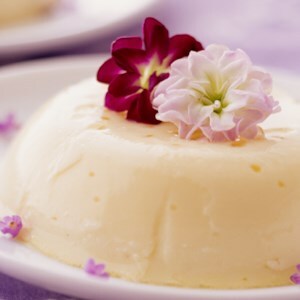 Decorate each custard with fresh lavender, thyme sprigs, or--for real style points--edible flowers! This rich homemade ice cream recipe was inspired by Linnalla Pure Irish Ice Cream in County Clare, Ireland. 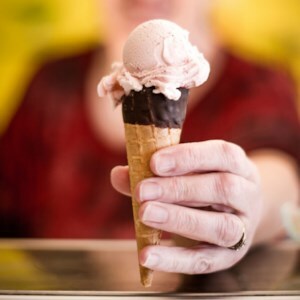 They add carrageenan made from local seaweed to give the ice cream a more velvety texture. 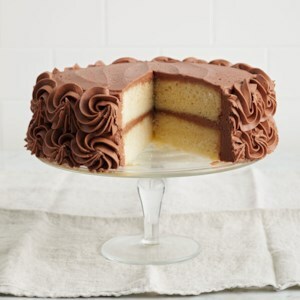 We've simplified the recipe for home, relying on only egg yolks and cream to do the job. Chopped honeycomb pieces add texture and pops of pure honey flavor, but feel free to omit them if you prefer a simpler ice cream. 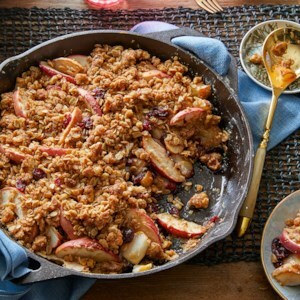 This ice cream would be delicious with rhubarb pie or crumble, or all on its own. 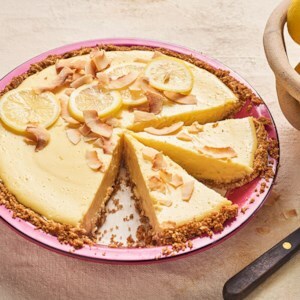 Light and delicious, this easy old-fashioned lemon icebox pie takes dessert up a notch thanks to coconut in the crust, which boosts both flavor and texture. 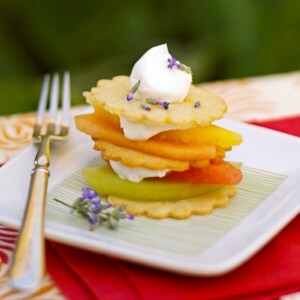 For the brightest hit of citrus use fresh-squeezed lemon juice. Look for graham crackers made with 100% whole-wheat flour to get the most fiber. 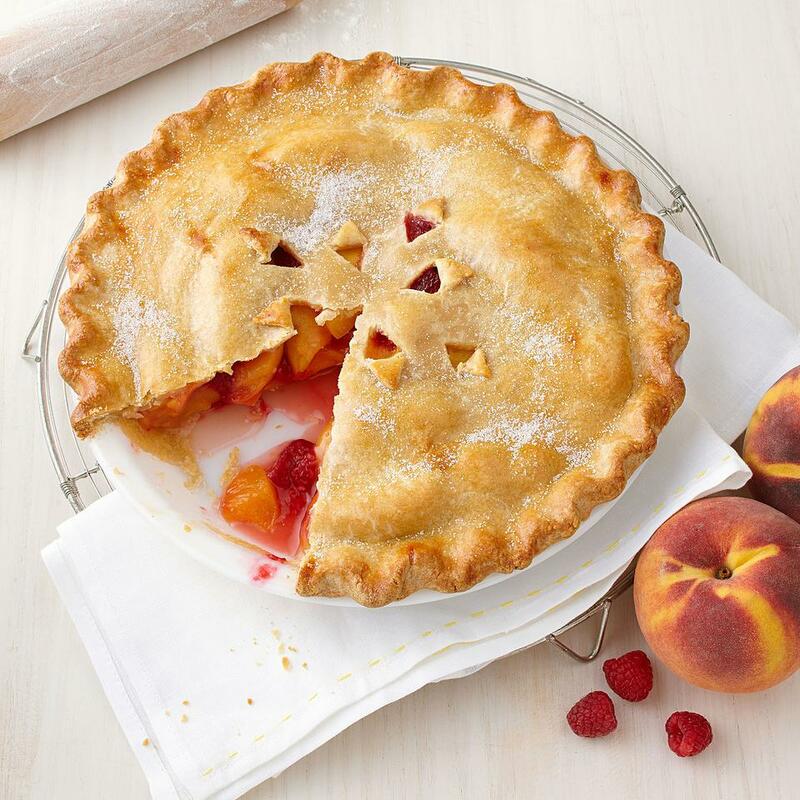 Seeing graham flour on the label? Good news--that's coarsely ground whole-wheat. 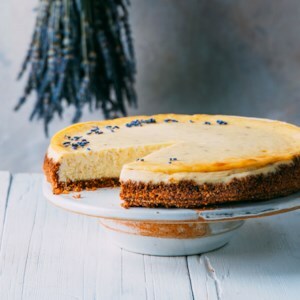 A fat-conscious baked oil pastry replaces traditional pie crust, and a tofu-yogurt blend takes the place of whipping cream in this luscious cream tart. 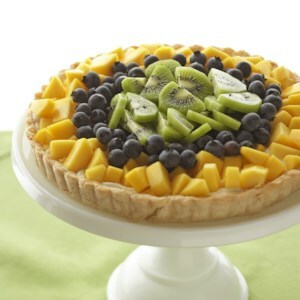 It's topped with blueberries, mango, and kiwi slices, but by substituting other fresh fruit you have on hand, you can really change the look and taste of this delicious dessert. 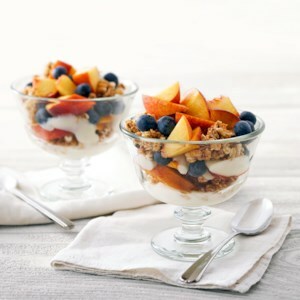 Old-fashioned desserts like blueberry cobbler never go out of style, but this updated version has significantly fewer grams of sugar than traditional recipes. 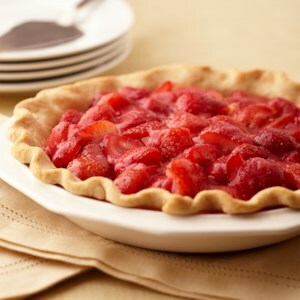 To cut carbs, gluten-free flours replace wheat flour in the biscuit topping. 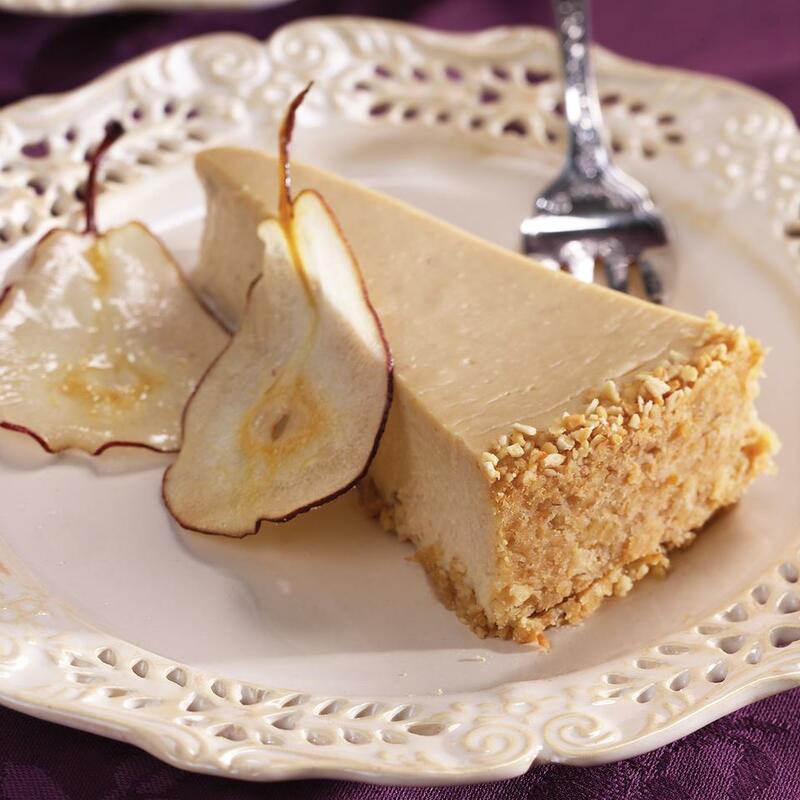 Baking homemade graham crackers with a touch of brown sugar and honey makes this cheesecake recipe an extra-special dessert. 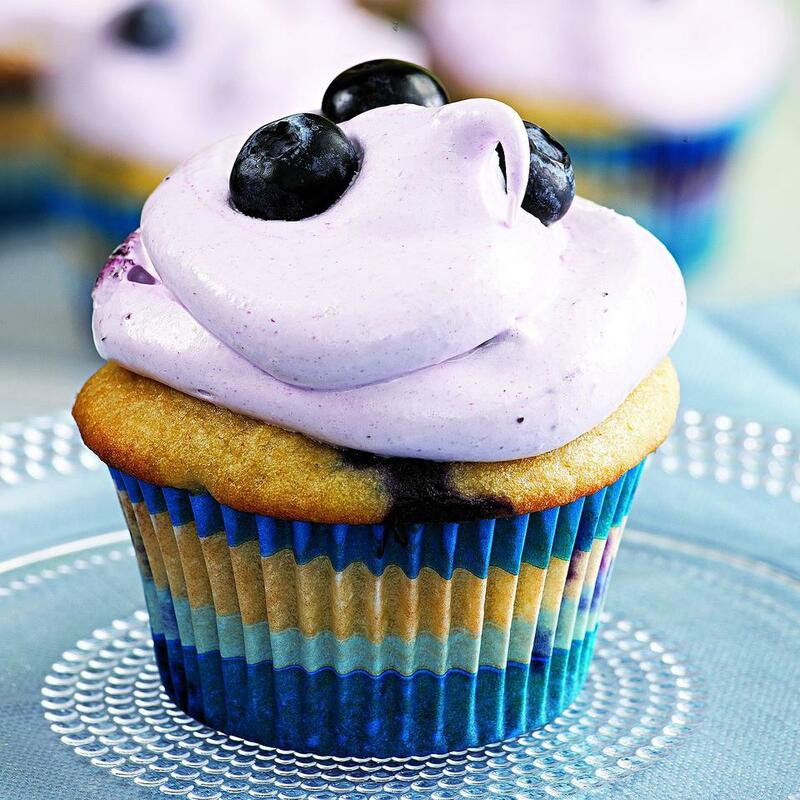 These buttermilk cupcakes look like the ones you can now buy at fancy cupcake shops, but are easily made at home. 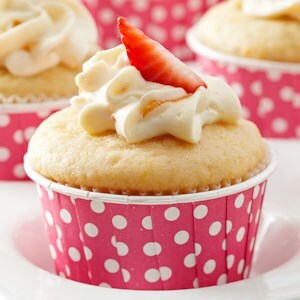 The cream cheese frosting is decadently delicious, and so are the cupcakes--take a bite and you'll find a surprise filling of strawberries and orange marmalade inside each one! Sticking to its food-waste mission, L.A. 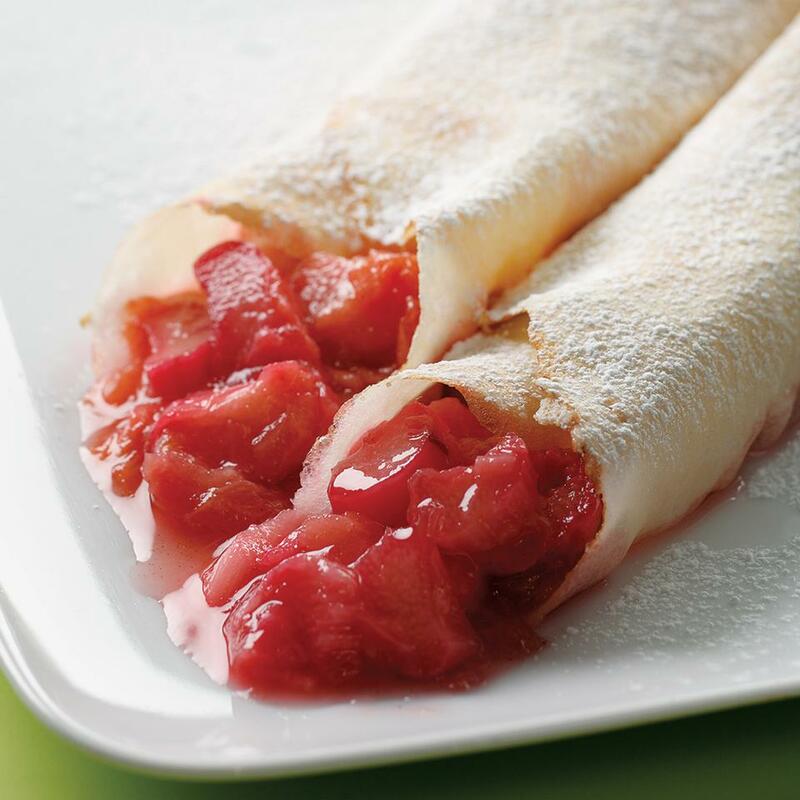 Kitchen created this dessert to work with almost any fruit you have on hand. 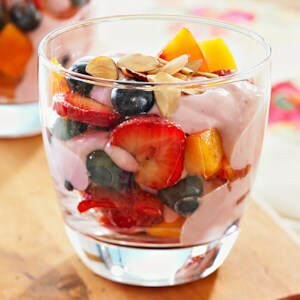 We've done it here with pears and apples, but you can use berries or even tropical fruits instead. 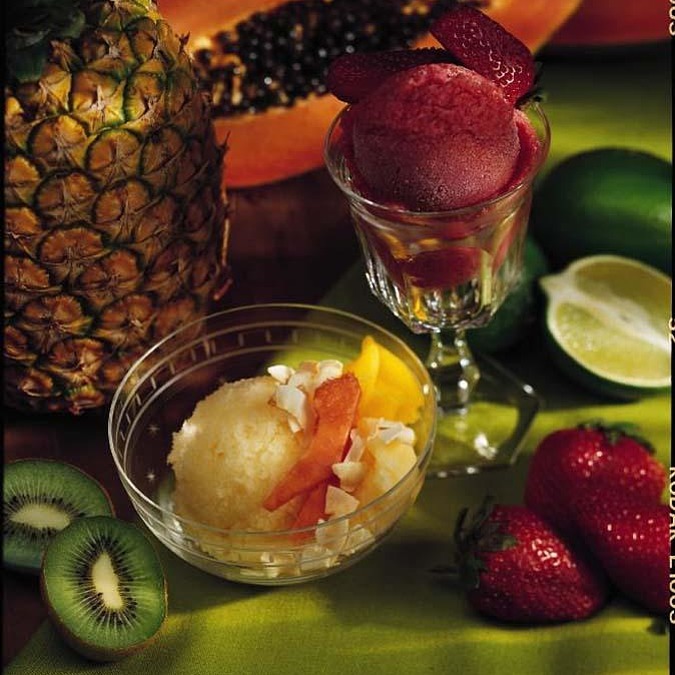 The addition of dried fruit adds a concentrated hit of flavor you won't get from fresh alone. 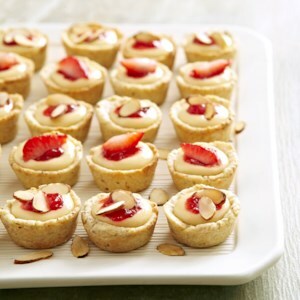 A healthy take on the traditional pastry dessert. 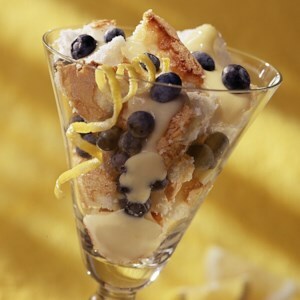 In this recipe, high-fat, high-calorie pastry and filling are replaced with tempting Lemon Crisps, melon slices and light dessert topping. 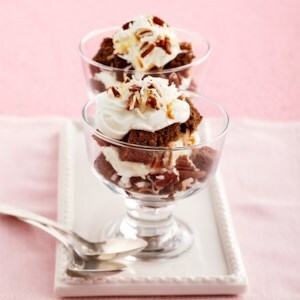 This decadent dessert has layers of chocolate cake, coconut, pecans and whipped topping. It's the perfect ending to any meal. 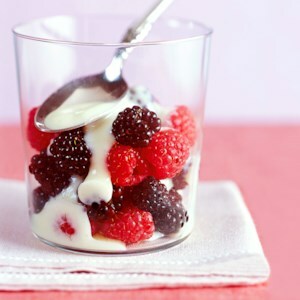 For this easy fruit dessert, the custard calls for fewer eggs and is thickened with cornstarch. 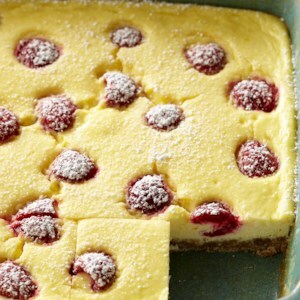 The diabetic-friendly recipe has only 3 grams of fat per serving!